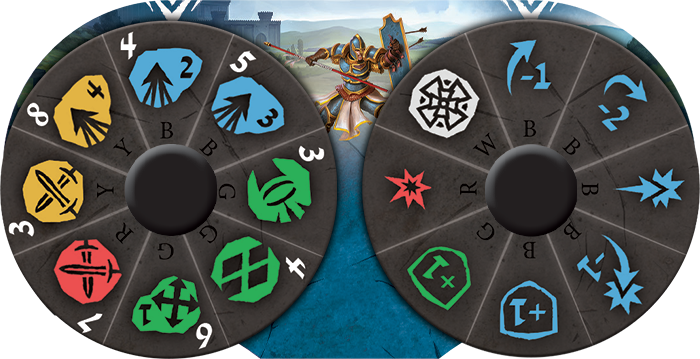 When the fires of war threaten the land of Terrinoth, the rank-and-file of Daqan form a mighty bulwark to protect their homes, and the spearman rise to the challenge of keeping their lands safe. The rows of infantry clad in the Citadel’s own colors—majestic blue and gold—march as a symbol of safety and security to those who make their home in the Land of Steel. It is difficult to find a group more disciplined than the Spearmen making up the front lines of the Daqan army. These rank-and-file units are made up of soldiers passionate about defending their homeland, and they will move with choreographed ferocity to defeat those that threaten the peace of the Free Cities. 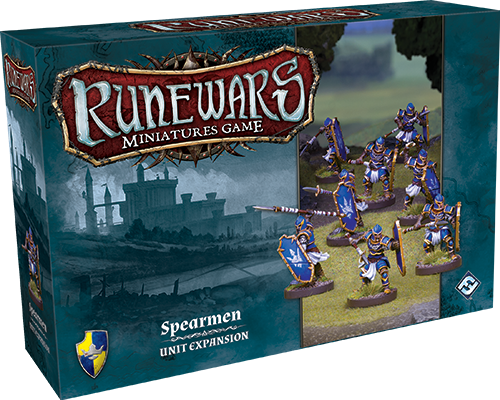 Fantasy Flight Games is proud to announce the Spearmen Unit Expansion for Runewars Miniatures Game is available now! The Spearmen Unit Expansion features eight plastic figures and two infantry trays, allowing you to form a two-tray unit of spearmen or add those trays to an existing unit. For an in depth look at the Spearmen Unit Expansion, click here. Like the imposing Lord Hawthorne, these Spearmen can spend surges to receive inspiration tokens, avoiding harmful bane conditions. With an inspiring presence, these Spearmen are sure to lead the charge against any enemy of Daqan. With two different melee attacks, the Spearmen have the option of acting quickly with an initiative-three strike, or attacking later in the turn with an initiative seven strike that can be modified to add an additional hit. This versatility makes the Spearmen extremely dangerous, and gives them a mix of speed and power that is valuable in any battle. With the Spearmen Unit Expansion, the Daqan Lords forces have been bolstered, and their foes now face the might of a legion of Spearmen ready to fight for the glory of Daqan. 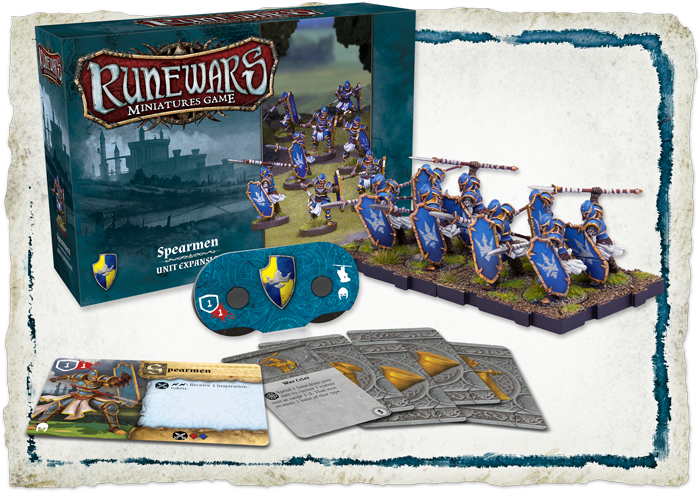 Form a mighty bulwark and purchase the Spearmen Unit Expansion (RWM07) for Runewars Miniatures Game from your local retailer today!